It is my pleasure to announce the 18th Annual meeting of the Society for Interpersonal Theory and Research at the DoubleTree by Hilton Toronto Downtown, May 29-30, 2015. Toronto is a vibrant city offering an eclectic mix of architecture, food, and shopping as well as numerous activities to see and do, such as the CN Tower, Toronto Zoo, and Opera House. 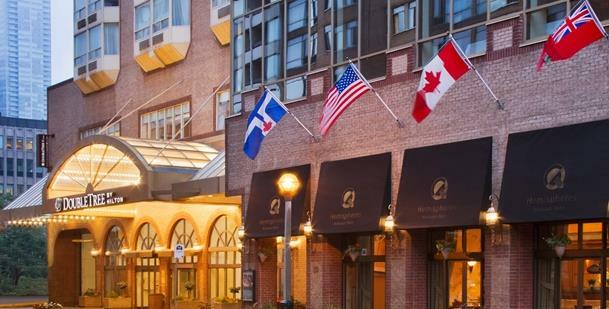 The DoubleTree by Hilton Toronto Downtown is located in the heart of Toronto’s financial and shopping district. Conference attendees will have easy access to the city center as well as public transportation. The conference website (sitar2015.weebly.com) includes specific details about travel, the conference hotel, conference registration, how to submit a presentation, as well as student travel grants and the Wiggins award. Information about the program will be available after March 1, 2015. There are a number of hotels in the area. We have locked in a special SITAR rate at the DoubleTree by Hilton Toronto Downtown of C$155/night for queen/king rooms and C$185/night for double rooms (please note: all room rates are in Canadian dollars and are subject to 13% HST and 3% Destination Marketing Fee). Reservations can be made by phone or email. By phone, please call either the hotel direct line (416-599-0555) or toll-free (800-668-6600). Or email, reservations@torontodoubletree.com. When making a reservation, please refer to “(SITAR) 18th Annual Meeting of the Society for Interpersonal Theory and Research” in order to access our group reservation and discounted rate. Rooms are available at this rate until May 1, 2015 or until our block is filled, so we recommend that you book sooner rather than later. Information about the conference hotel is available at sitar2015.weebly.com under the “Hotel Info” tab (http://sitar2015.weebly.com/hotel-info.html). There are a variety of travel routes to Toronto, including two airports (Lester B. Pearson International Airport and Toronto Island Airport). Toronto is also easily accessible by car and has a convenient public transportation system. Further details are available at sitar2015.weebly.com under the “Travel Info” tab (http://sitar2015.weebly.com/travel-info.html). There are three possible types of submissions to SITAR: posters, papers, or panels of papers with a common theme. Proposals can be submitted online at sitar2015.weebly.com via the “Proposal Submission Form” tab (http://sitar2015.weebly.com/proposal-submission-form.html). Proposals are due February 15, 2015, with the goal of having a program set by March 1, 2015.
sitar2015.weebly.com also contains information for students, including how to apply for travel grants and how to be considered for the 2015 Jerry S. Wiggins Award for Outstanding Interpersonal Research by a Student. I look forward to seeing you in Toronto!! Please do not hesitate to contact me if you have any questions about the meeting.